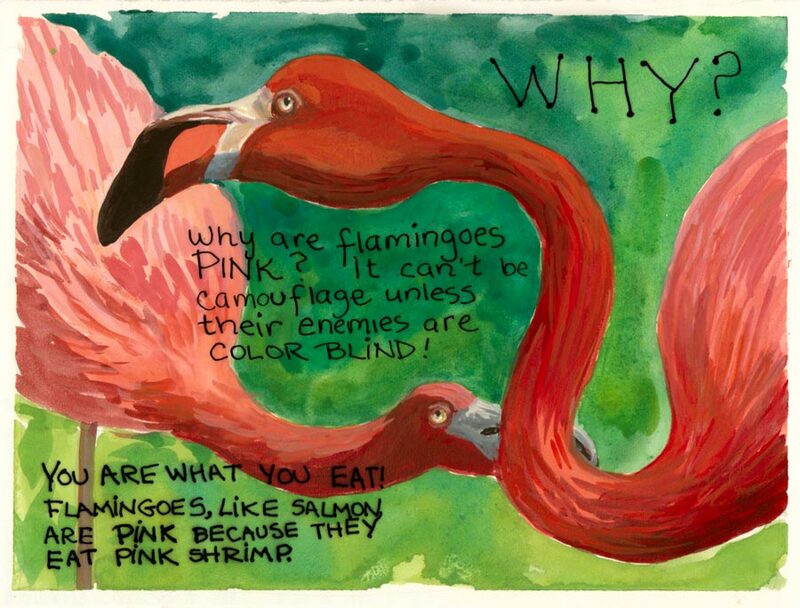 Why Are Flamingoes Pink? Gouache on hot press paper, 5.5x7.5"
Why Are Flamingoes Pink? 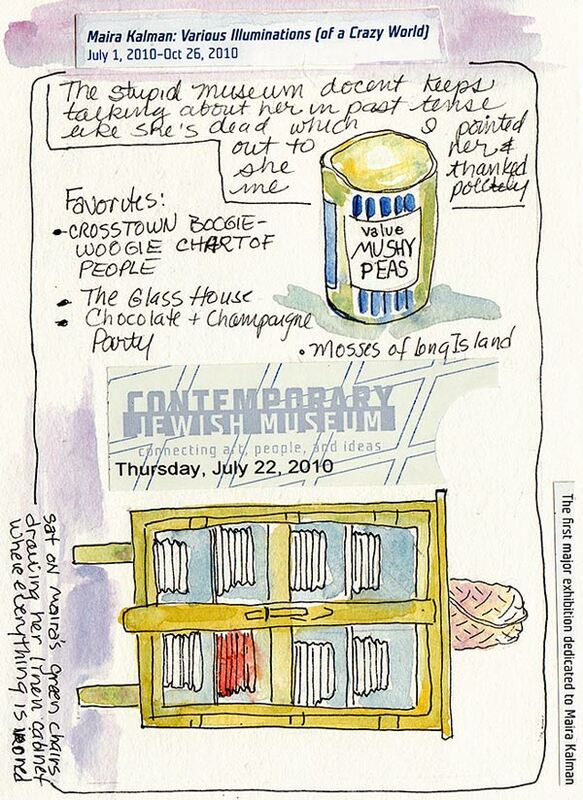 Gouache & Ink, 5.5x7.5"
I adore Maira Kalman‘s wonderfully quirky gouache and ink illustrations. When I’ve tried to use ink on my own gouache paintings, the ink always got sucked into the paint and blurred, or the pen clogged immediately (or both). I searched every way I could on the internet and finally found this link to India Amos’s blog. India, as Art Director, was responsible for preparing some of Maira’s artwork for print. In the post she wrote that Maira creates the painting and lettering separately. Then they’re scanned and layered together electronically using Photoshop.